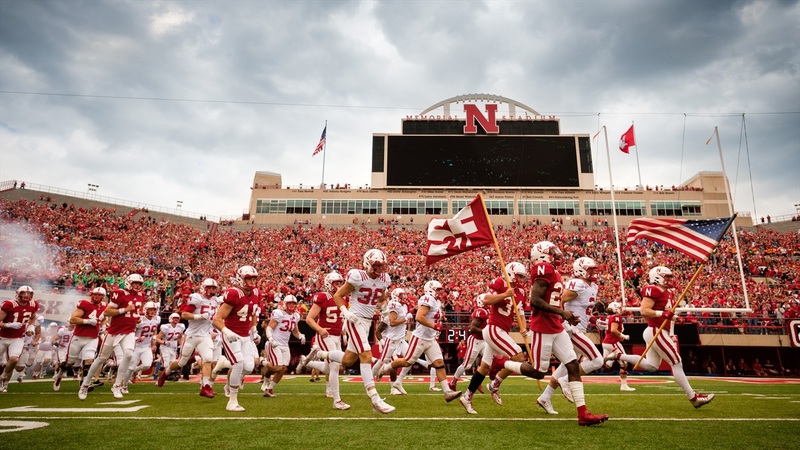 Saturday’s spring game will sound like a normal football game inside Memorial Stadium. Ninety-thousand fans anxiously packed into the stands, waiting for kickoff, cheering and chanting and losing it when their new team runs out of the tunnel for the first time, will make it feel like a normal football game too. Fortunately, it will also look like a normal football game. No weird scoring systems, no concerts or in-game contests, just football. Head coach Scott Frost said it will be real, minus a few kicking situations (he didn’t elaborate on what that meant). “We’re going to go just a normal game format for the first half and have a running clock in the second half until the last five minutes and then have a regular clock again,” he said. As for the teams, it’ll be a pretty good indication of who’s stood out so far in spring and who still has work to do. He said there are a few guys that will get minimal reps and have their day called early for health reasons, but no one new has been ruled out for the scrimmage. Going into the game, he just wants to see his guys cut it loose. A spot that figures to garner the lion’s share of attention will be whoever is lining up behind center. It’ll be the second straight season intrigue has surrounded the quarterback spot heading into the Red-White game, but Frost tried to downplay any notion that they’d weigh any one performance too heavily. “The quarterback decision won’t come for a long time,” he said. “I don’t think it’s fair to evaluate those guys until people are really familiar with the system. Well, that’s no fun. But hey, at least they’re not going to water down the offense because the game is on the Big Ten Network. Frost won’t be calling the shots either; he’s leaving play-calling duties to the coordinators. Frost said the assistants will be split into two teams and he’ll be more of a spectator for the afternoon. Let’s just hope he’s smelling roses and not wet grass. The game is scheduled for kickoff at 11 a.m. Saturday. >> JD Spielman hasn’t practiced for “a few days.” Frost said there’s a “pretty good” virus making its way through the Huskers’ locker room. Frost said their numbers are “kind of dangerously low” heading into Saturday, but the hope is all of the guys currently battling sickness will be able to play in some capacity or another. None of them have yet to be ruled out. >> No word yet on Ole Miss transfer Breon Dixon’s status. Frost said he’s “bunched into one group” with all of the other Ole Miss transfers and that decision has yet to be made. >> Junior linebacker Mo Barry was the latest to talk about the “shoot your shot” mentality on defense as it relates to getting pressure in the backfield and creating turnovers. It’s clearly a phrase the staff uses often and a mindset the players are buying into. Barry talked about the importance of forcing turnovers for this defense and the way that’s been stressed in practice. Greg Smith will have a story on him soon. >> Senior defensive end Freedom Akinmoladun was once on offense. He was asked about that Tuesday and said the move to defense was a great choice. He joked that it’s nice to have the ball in his hands and score touchdowns and get to celebrate, but he’s planning to do some celebrating after sacks this year. >> Wideout Jaevon McQuitty lost his entire freshman season to injury. McQuitty said Tuesday he was healthy enough to play in December but was told to just take his time and ease back into things. Now, he’s added some size and is looking like a potential breakout candidate in Frost’s offense. “Jaevon has really turned a corner the last two practices in my mind,” Frost said. Jacob Padilla will have more on McQuitty soon. >> Redshirt freshman defensive lineman Damion Daniels said he cut a ton of body fat this offseason. He listed himself at 6-foot-3, 325 pounds. His huskers.com profile has him at 6-foot-2, 310 pounds. Give strength coach Zach Duval a raise. >> Who’s taking up leadership roles on the team? It’s a question that keeps coming up during post-practice availability and the staff hasn’t been afraid to call it like it is. Last week, Chinander said they didn’t have what they needed and Frost doubled down on that Tuesday. “We’ve got a long way to go with leadership,” he said. “I’m not sure leadership was developed really well here. We’ve got some guys that are capable of doing it, we just need to create opportunities for them to be leaders.